The tools we use at AMS for collaboration between our design and development teams, communication with clients, project management, marketin, and sales. We really like to keep things simple so more is definitely less. Rooms always get really excited when new tools are being introduced. But a tool is as effective as the person using it. It is also tempting to switch tools anytime a new and shiny one comes by. Behave yourself and stick to what is already working for you, unless the upside of switching is essential for further growth. Our team has gone through a lot of tools by trial and error, that got us to the following list. Probably long from perfect but for us they work really well. They say that every time your team doubles in size, all processes break. Modernising how teams communicate, we feel Slack is optimised for tech companies. It makes it very easy to share pieces of code and allows for simple setup with integrations and apps as an addition to Slack. Story of AMS relies on Slack to organise the communication and workflows needed to bring digital products for our clients to market. 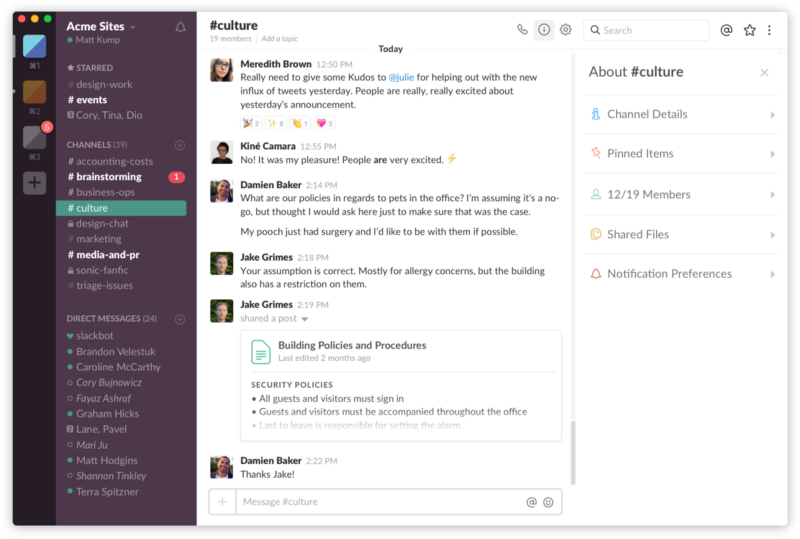 Slack adapts to how businesses are organised, providing interconnected workspaces that mirror how teams already collaborate. The ‘ hierarchy’ within slack helps structuring the organisations communication flow. Slack also works really well for communication with clients. Of course we still have email but in our experience, it works really well to have at least the key players in a project together in a slack channel. It allows for prompt action whenever needed and a place where (almost) all communication is centralised. Handy for example when you need to look up something send in the past. 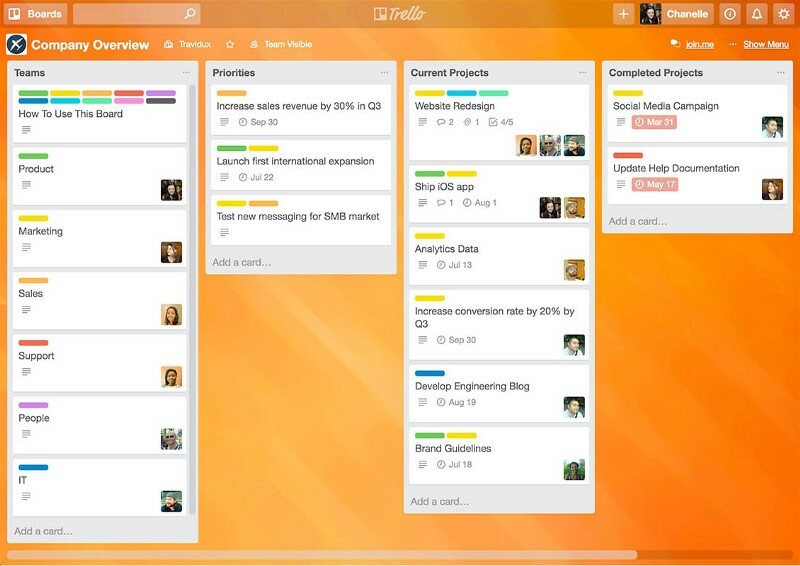 Trello is a web-based project management application following the KANBAN technique using a user-friendly drag and drop interface. Originally designed by Taiichi Ohno, an industrial engineer at Toyota, developed KANBAN to improve manufacturing efficiency. Now it’s one of the leading PM methodologies because the approach suits almost every team and goal. It helps you manage the flow of tasks as your team works toward shared objectives. We use it for Design, Development, Project Management, and Marketing/Sales. Trello also has a lot of integrations with other apps your business might use, for example Slack. Too often people think the next new shiney tool will come along and be the marketing silver bullet. In reality all we are doing it creating more operational hassle to keep our 10+ marketing tools aligned with each other. The right amount of software can be a game changer. Too much software can turn your marketing team into IT. Great ideas with consistent and creative execution are what allow us to educate and win the hearts and minds of our buyers. Software can help us do that but not if we spend all our time managing software and business rule instead of obsessing about our customers. So to keep things simple and centralised, we combine our CRM, Marketing, Sales and part of client support into Hubspot’s software. It is quite pricey though so the benefit has to offset the investment of course. Speaking for ourselves, it is definitely worth it. While there are many more functionalities, the above mentioned is already tremendous value. Indispensable in every development environment. Without GitLab it would be very hard to work on one project with multiple developers at the same time. Source Code Management: Source code management is the management of changes to documents, computer programs, large web sites, and other collections of information. Examples in GitLab include Branches, Merge Requests, WebIDE, and files. Safer Deployments: Being able to deliver changes to production while minimizing risk to production systems. A subset of Continuous Delivery. GitLab also integrates smoothly with Trello, which allows for centralised project management. It makes life a heck of a lot easier. Abstract is our go to tool to manage and collaborate on our Sketch files. What GitLab is for developers, Abstract is for UX/UI Designers. Both unmistakably important when working in teams. Most designers either use Adobe or Sketch to create UX/UI designs. Our team uses a combination of the two but mostly Sketch. Unlike GitLab, Abstract is quite unknown in the community it tries to serve. We come across a lot of cases where several tools and tricks are being used to allow for collaboration where Abstract would solve this problem and enable a more efficient way of working. We really like to keep things simple and so should you. Abstract allows multiple designers to work on the same file without fear of changes being overwritten. It is basically a secure hub for your design team, keeping all different versions of a design aligned. Asking “ Is this the latest version of the design including the last feedback points?” no more. These are the 5 essential business tools we use at Story of AMS to ensure we deliver top quality work to our clients. If you have any suggestions on tooling to deliver the best possible customer experience, let us know!